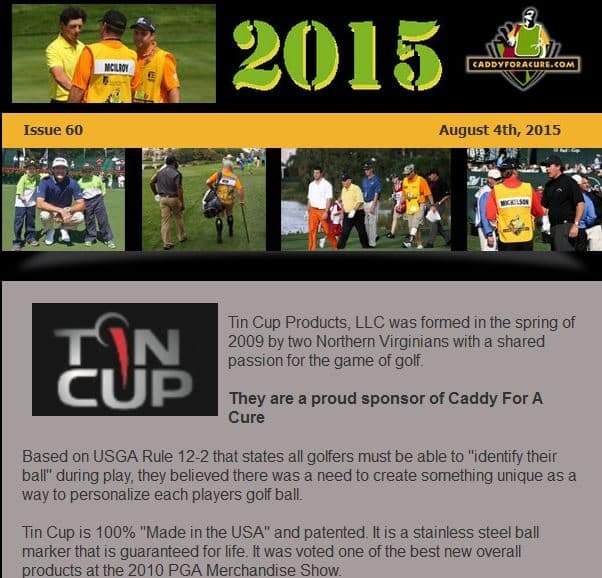 Roughly every 45 days or so we feature a newsletter on much that is happening or has happened with Caddy For A Cure. You will see featured stories on our experiences, as well as whom we assist. There will be notices as to upcoming events, and some “from the heart” thoughts from our PGA Professional and Founder. This issued featured articles on the BMW Championship which had Jordan Spieth and wounded service member SSGT Brian Mast. The Cambia Portland Classic which had Lydia Ko, Mo Martin, and Gerina Piller. Thoughts included parent-child caddy experiences. Please CLICK HERE to view this entire newsletter.